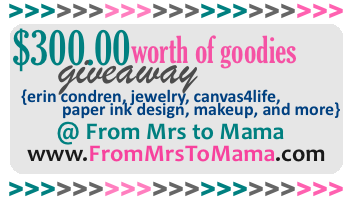 Adventures With Gwen: Ah-mazing Giveaway! You should definitely go check out this giveaway!!! Actually, just check out Becky's blog anyway! It's one of my favs! $300 worth of goodies...you don't have to tell me twice;) Thanks for the heads up!! !